After the Peter Sagan affair, there were fireworks of a different kind on Wednesday as Fabio Aru took stage five by the scruff of the neck to move to 9-2 joint-second favourite. The Italian champion's strong attack just over 2km from the end carried him to victory by 16sec from Dan Martin and 20sec ahead of Chris Froome, who takes over the yellow jersey after teammate Geraint Thomas faltered in the closing stages. Following the first big shake-out of this year's Tour on the summit finish of La Planche des Belles Filles, Froome leads by 12sec from Thomas with Aru up to third, another 2sec behind. Martin is fourth at 25sec and Richie Porte, who finished fourth on the stage in the same time as Froome but missed out on the time bonuses for the top three places, is fifth overall at 39sec. Aru was the big mover in the overall market and is now a best-priced 9-2, having been 16-1 at the start of the day. Froome lengthened slightly to 8-11 and so did Porte to 9-2. Froome and Porte were among the strongest climbers but looked far from invincible and nor did their teams, with both riders left isolated earlier than expected. Next best in the betting is Nairo Quintana, out to 25-1 from 8-1 after finishing a lacklustre ninth on the stage. It was noticeable that several riders who were prominent in the Giro d'Italia - not only Quintana but also Thibaut Pinot and Bauke Mollema - struggled when the heat was turned up. In the previous two years when a stage has finished at La Planche des Belles Filles, seven of the top ten overall at the end of the day have gone on to finish in the top ten in Paris. That means the top ten now makes interesting reading, with places six to ten filled by Simon Yates (leading young rider), Romain Bardet, Alberto Contador, Quintana and Rafal Majka. Stage six is the second-longest of this year's race and the focus is expected to switch back to the fastmen sprinters on the flat run-in to the slightly uphill boulevard finish in Troyes. 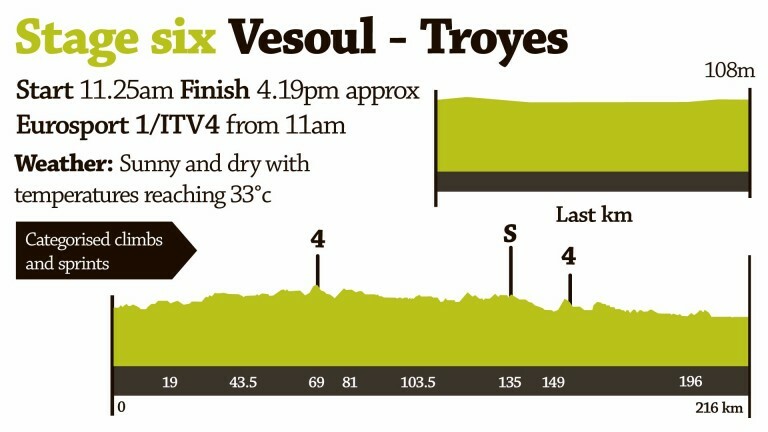 The last time there was a stage finish here, in 2000, Erik Zabel (then in his pomp as a six-time green jersey winner) beat Robbie McEwen (subsequently a triple green jersey winner), and this stage should be the latest salvo in the battle for the points classification. That battle will proceed, of course, without two of the biggest guns after the rough finish on stage four put Mark Cavendish out of the race through injury, swiftly followed by the disqualified Sagan. 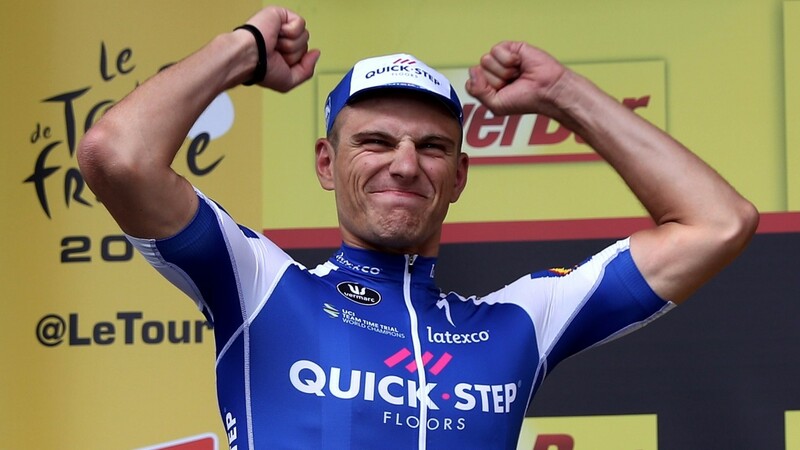 That leaves Arnaud Demare and Marcel Kittel first and second in the race for the green jersey and demonstrably the two best sprinters in the race. With one win apiece on the two flat finishes so far, they were already on top and the removal of Cavendish and Sagan only increases their advantage. Kittel was not there to contest the finish on stage four and, with Demare shortening after his first career stage victory, the market appeal lies with the German, who has a near 70 per cent win ratio this year in finishes he has contested.